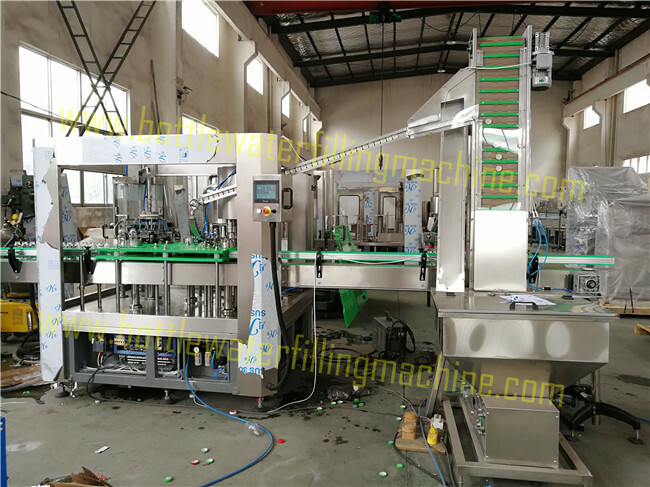 This machine is for glass bottle beverage production, it is a monoblock one, integrates rising filling and capping 3 function in one unit. it's rough capacity is about 3000B/H (for 500ml glass bottle). 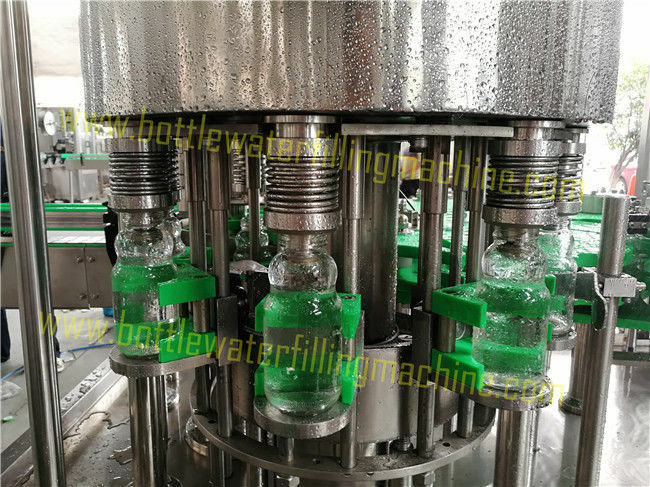 It adopt normal pressure filling, suitable for non-carbonated beverage, like water, juice, tea, milk and so on. 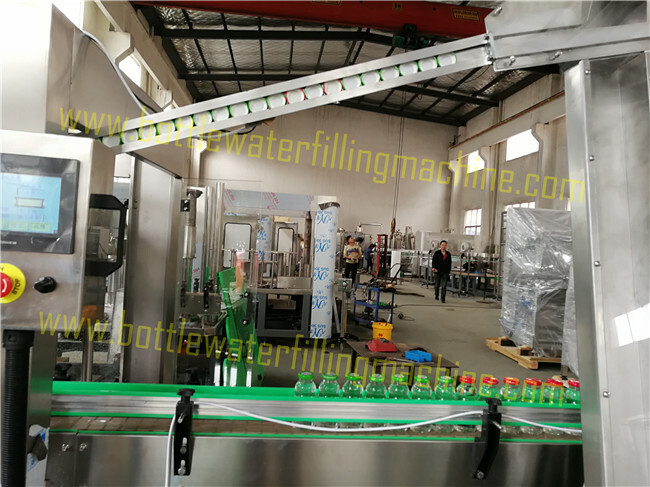 If the bottle neck diameter is same, it can be used to fill different size bottle, only by changing the guiding board.